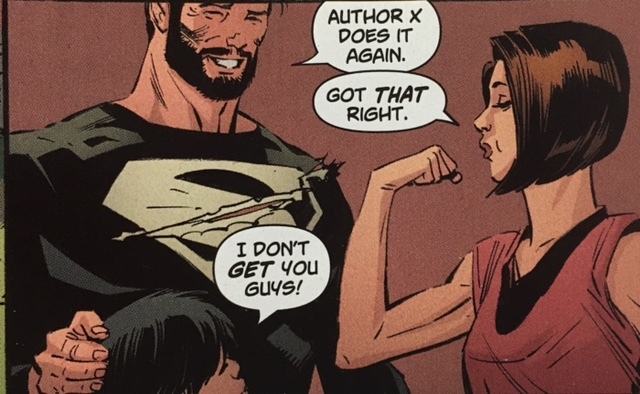 Superman: Lois and Clark #8. 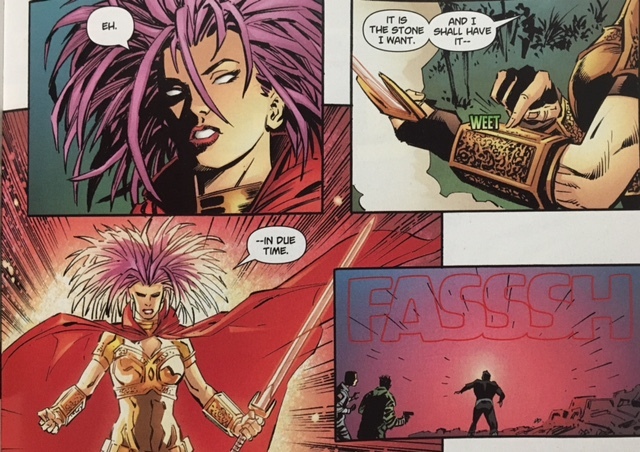 Dan Jurgens- Writer, Lee Weeks- Penciller, Scott Hanna- Inker, Jeromy Cox- Colorist. 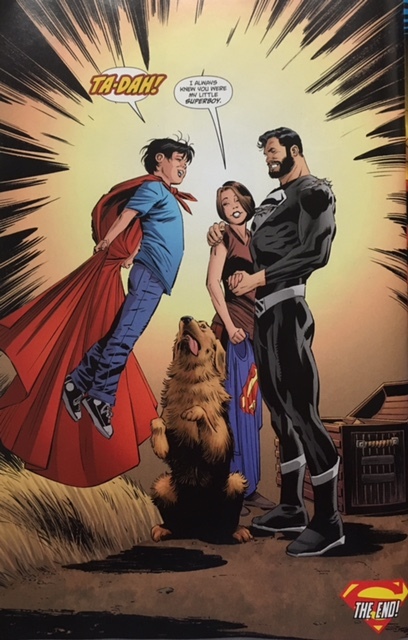 Last issues revelations and repudiations make this last issue of Superman: Lois and Clark a fair challenge. While the Oblivion Stone plot line with Hyathis is still unresolved, it seems like the biggest surprises and excitement have already come to pass. Of course, all of this is superseded this week by the events of DC Universe: Rebirth #1. Jon and Lois get a little down time to reflect upon what’s been revealed and Jon has a failed attempt at flying. Clark is on his way to the island where Hank Henshaw’s ship crashed to have his showdown with Hyathis. Hyathis is sure that Clark has the other half of the Oblivion Stone and she’s determined to make him give it up. During the battle, Clark realizes that he does have the other half at the Fortress of Solitude. Hyathis realizes that her battle with Clark is going to be a lot more taxing than she anticipated and she withdraws, for now. Her goal is the Oblivion Stone, but she seems content to make a try for it later. As it turns out, the agent who was trying to figure out what Heshaw was hiding also reveals that he’s been suspicious of the existence of an individual responsible for unexplained seemingly miraculous events. It’s clear he’s on Clark’s trail and he wonders if Clark is in fact who he’s been searching for. For now, Henshaw seems to be in the clear and Clark returns home to his family. Upon his arrival, they learn that Lois’s Intergang book has been published and that people around the country are being arrested in connection to Intergang. They then show Jon Clark’s original Superman costume. He’s enamored with the cape and he tries it on. And he manages to get him self off the ground—you will believe a boy can fly! The best parts of this issue are the scenes that focus on the Super-family. Seeing Jon attempt flight and then later succeed is truly fun. Jon’s excitement at discovering his powers and trying on Clark’s old suit bring a sense of hope and lightness. 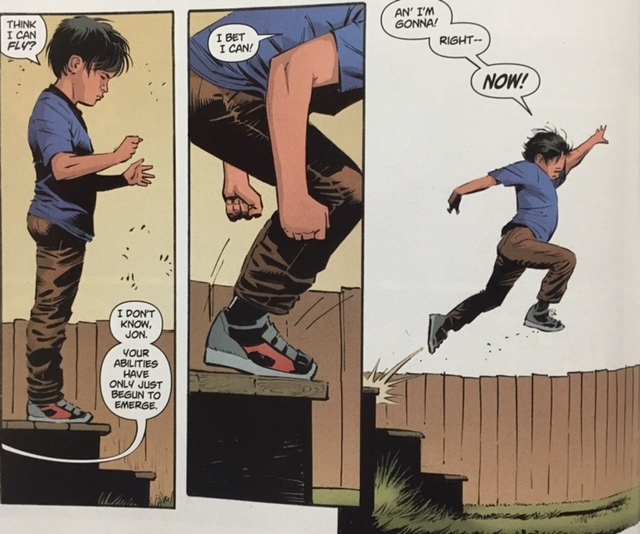 Despite the potential danger in a young boy going out as a super-hero, it channels the sense of fun and joy found in the Superboy stories of the ‘50’s and ‘60’s. If you’ve been reading this series, you certainly don’t want to bail out on the last issue. 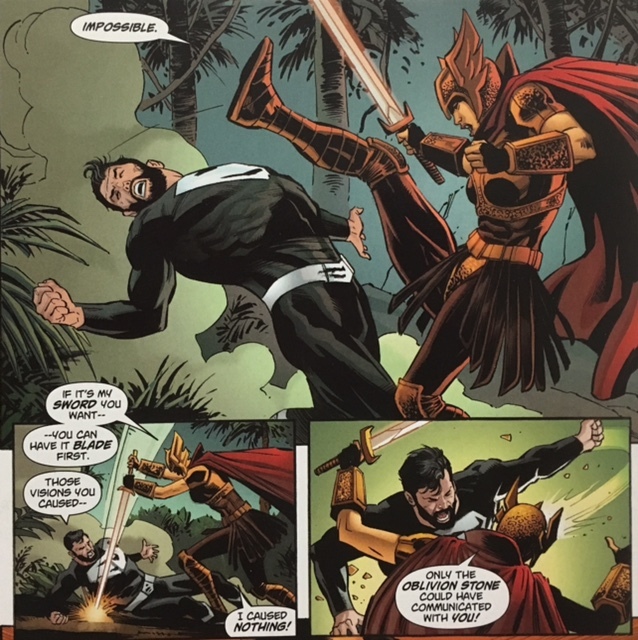 If you’re looking for a Rebirth tie-in, then the previous two issues fit that bill a little better.